The Truckee Fire Protection District has two Automated External Defibrillators (AEDs) available to the public, free of charge, on a short-term loan basis. These AEDs were purchased by the Truckee Firefighters Charitable Fund and the Truckee Fire Protection District so that members of the community would have these devices available for their use. To reserve an AED for a public event, fill out the form below and stop by Station 91 to pick up. Thank you for making a reservation! The AED can be picked up at Station 91 located at 10049 Donner Pass Rd. Truckee, CA 96161 during normal business hours (Mon-Fri 8am-5pm). 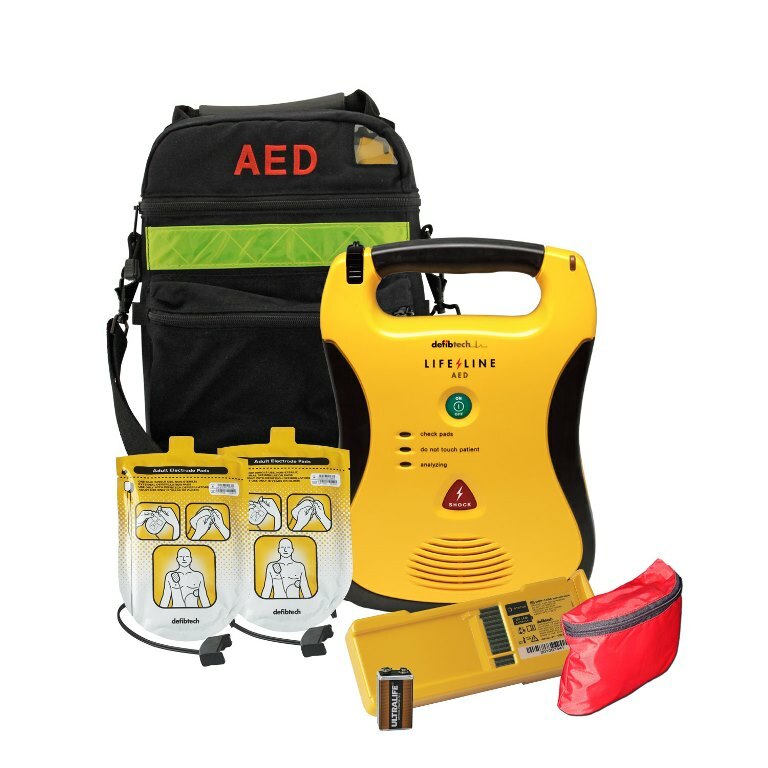 AEDs are computerized devices that are now about the size of a laptop computer and can be used by healthcare providers and lay rescuers. These devices are attached to a victim thought to be in cardiac arrest, and will provide vocal and visual prompts to lead rescuers through the steps of operation. AEDs analyze the victim's heart rhythm, determine if a defibrillation shock is needed, then prompt the rescuer to "clear" the victim and deliver a shock. Studies have repeatedly shown the importance of immediate bystander CPR plus defibrillation within 3-5 minutes of collapse to improve survival from sudden ventricular fibrillation cardiac arrest. To learn more about how to use an AED and how to perform CPR, Truckee Fire Protection District offers monthly American Heart Association CPR courses. Visit our CPR/AED Training page to register for a class.